Mila is 27, shy and running from her past. She's been in New York City a little over a year and a half, has a decent job and a great roommate named Nikki. Nikki's the only one she's trusted with her secrets. But Nikki thinks it's time for Mila to stop locking herself away and have some fun. Other than to buy necessary stuff and go to work in the small family restaurant where she waitresses, she rarely leaves their apartment. She knew the sadness that lived inside of me, the fear that woke me in the middle of the night, panting and breathless. I trusted Nikki with everything, because I'd had to trust someone. Thankfully, the someone I'd chose had been her. Nikki drags her out to Club INFINIFY, one of the big hot spots for the city's nightlife. While she's off dancing, Mila meets a gorgeous guy who can't seem to stop staring at her-Will. He looked me over with crystal clear blue eyes that the sight of sent my nerves ablaze. Like most of the club-goers, he was dressed casual-chic, in a pair of distressed jeans that hugged his trim hips and legs, that he'd pair with a simple black T-shirt. But the most endearing thing about him was the pair of Converse sneakers on his feet. Smudged, worn-looking, they didn't quite fit the rest of him, yet at the same time gave him an approachable vibe that I didn't think he'd have without them. Lots of flirting later, shy Mila thinks maybe Nikki's right and a one night stand with a complete stranger is what she needs to break out of her shell. Will wants her, Mila wants him and they end up spending a sweaty, hotter than hot night together. But Will has promised himself (the story is in both their POV's) that he is no longer going to do meaningless sexual encounters. He was thirty one years old, nearly thirty two. He'd been almost everywhere, seen everything, and subsequently was no longer impressed with any of it. He wanted different. He needed different. So when he wakes up the next day in her apartment, realizes that once again he met someone and jumped right to the good stuff, he puts his phone number on a piece of paper, and leaves before she wakes up. Total douche move. Mila feels cheap but realizes it's probably best that things didn't go any further. She figures he really doesn't want her to call him, or he wouldn't have left before she work up. Will can't get her out of his head, but he didn't get her phone number, he doesn't even know her last name and she didn't call him. But fate steps in, he gets a hold of her and they start dating. "Maybe we should just have coffee," she said suddenly, her breathing coming fast. "I mean, if that's what you want. We could watch a movie, or talk more, or-"
She blinked, sucking her bottom lip into her mouth again. "Hmm?" 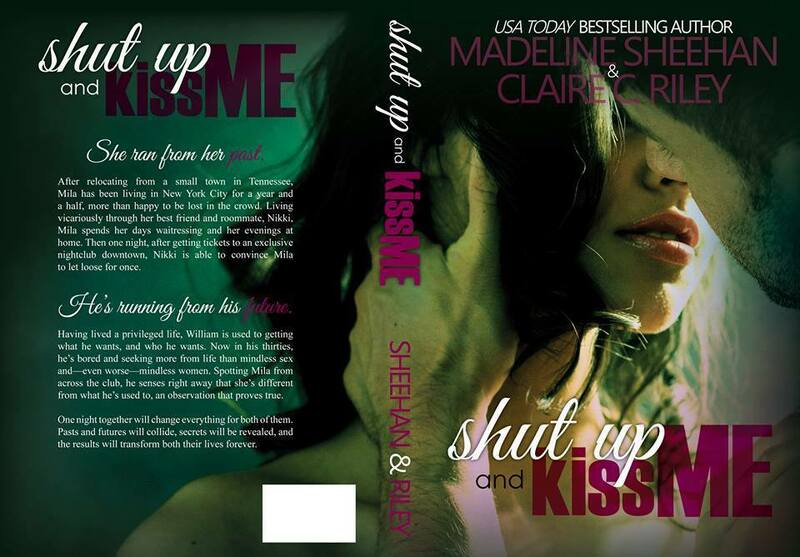 "Shut up," he whispered, lowering his mouth to hers, "and kiss me." Will is not who Mila thinks he is, but he has been burnt before because of his family and his social status. So he tells her a few white lies. This thing with Mila is so new, he wants to make sure she wants him for who he really is, not what she could gain by being with him. And Mila, she thinks maybe someday she can will tell him about the things she's done and her past. They have tons of obstacles-his snobby, close minded family; her past, their insecurities about each other. And then boom-Mila's past isn't in the past any longer and is now colliding with Will's present. When Mila's past secrets are uncovered, they are pretty big ones. Ones that can get them both killed. And where will the truth lead them? Will nodded slowly. "So what you're telling me is, if the woman is worth it, no matter what happens, you fight for her."